I tend to work more in bolder colors. I am a fan of brights and primaries and neutrals, however, I don't do a whole lot in pastels. I like them, though, so.... I should be using them more. For reals, though. When I was making a card for my Mom's birthday a bit ago, I decided that I wanted to do pastels, so I went for it! 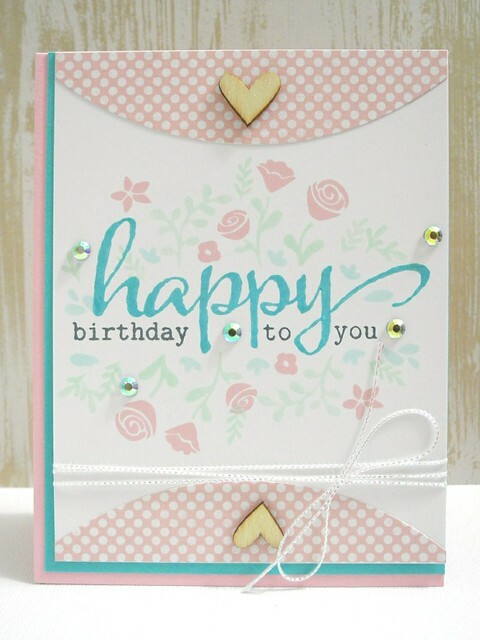 I pulled out some fun stamps from Lawn Fawn and from Winnie & Walter for this pretty card. I used mint, cotton candy, and surf blue inks from the Simon Says Stamp Ink collection and then used black and Audrey Blue for the sentiment to make it stand out more. I used the larger stamp in the Lawn Fawn set as inspiration, but actually stamped with the individual stamps to create the floral look I wanted around my sentiment. A bit of patterned paper, die cut with the Avery Elle Custom Panels curved die, some May Arts string, and a couple of wood veneer hearts round out the design. I added a bit of sparkle with some Hero Arts gems. This was a fun challenge for me, as it was outside of my normal color choices and the stamping was a bit tricky, too, but I really love how it turned out. I love challenging myself to do things I don't normally do. Sometimes I think it's easy to forget that there are lots of fun ways to use what we have! So so pretty, Miss Lady!! What a beautiful card! I absolutely love the soft pastel colors you used! So pretty! 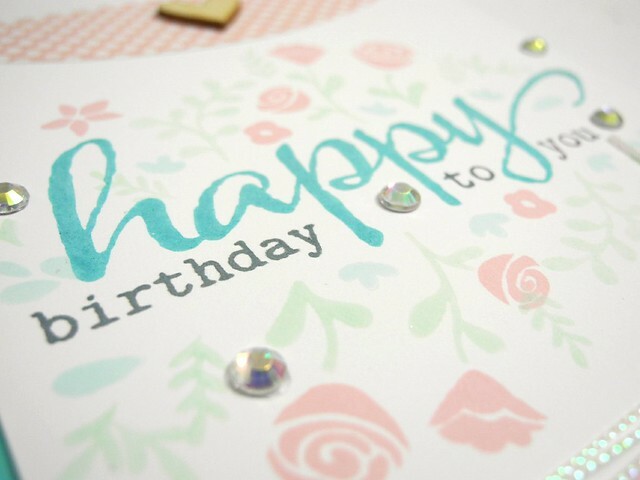 love those softly stamped flowers!